Watch the full story on "20/20" Friday, March 22, at 9 p.m. ET on ABC. Late one May night in 1983, Diane Downs sped into an emergency room dropoff in Springfield, Ore., with a horrifying story to tell. Her three small children, Christie, 8; Cheryl, 7; and Danny, 3, were inside her blood-soaked car, shot at close range. In the frantic scene, hospital employees quickly determined that Cheryl was already dead and that Christie and Danny were clinging to life. Downs had also been shot, in the left forearm, though her wound was not life threatening. When police arrived at the scene, Downs, 27 at the time, told them a bizarre story of being flagged down by a bushy-haired stranger on a dark and deserted country road. Doug Welch, then a detective with the Lane County Sheriff's Office, remembers getting the call for what would turn out to be his first homicide investigation. He responded to McKenzie-Willamette Hospital and immediately interviewed Downs, a postal worker. Downs said she then faked throwing her keys to divert the gunman's attention, pushed him out of the way, jumped back in her car and raced to the hospital with her badly wounded children. She says it was during the struggle with the stranger that she was shot in the arm. 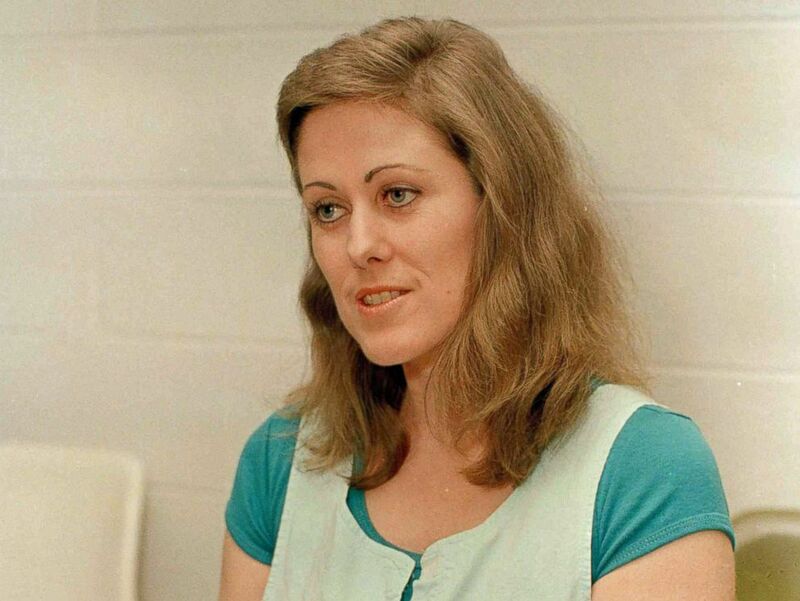 Elizabeth Diane Downs talks about her conviction for killing her 7 year old daughter and wounding two of her other children in Springfield, Ore., during an interview at the Correctional Institute for Woman in Clinton, N.J., March 12, 1989. Fearing there could be a gun-wielding killer on the loose, police released information to the public to be on the lookout. But suspicions of Downs herself quickly began to surface. Within a month of the shootings, with her two surviving children still in the hospital, Downs began giving a series of bizarre interviews to the media. While police increasingly suspected Downs, she adamantly denied any involvement when speaking to the media. "Why would I have taken my kids to the hospital?" she said in an interview. "Wouldn't I have made sure they were dead and then cried crocodile tears? That's insane to think that I would do such a thing and then bring the witnesses in against myself -- that's crazy." Anne Bradley Jaeger was a local reporter for ABC affiliate KEZI in Eugene, Ore., at the time. She remembers Downs' demeanor in her interviews as peculiar. “The more she talked, and she talked a lot and frequently, the more she talked, the more things didn't make any sense. It was as if she thought that if she kept talking enough, that you would believe her,” Jaeger said. Although police had found spent .22 caliber bullet casings at the crime scene, an exhaustive search of the area did not turn up the murder weapon. And Christie Downs, the only witness to the crime (her younger brother Danny was believed to have been asleep at the time), had suffered a stroke that impaired her speech and initially prevented her from telling police what she had seen. Although Downs denied having ever owned a .22 caliber gun, ex-husband Steve Downs told police she took one with her when she moved to Oregon. Meanwhile, Christie Downs was slowly beginning to tell what she remembered of the shootings. She said she had not seen a male stranger that night. A judge had already placed Downs' two surviving children in protective custody. A break in the case finally came when investigators discovered Downs' secret diaries. They told of her obsession with a married man who didn't want her kids around. Police arrested Downs Feb. 28, 1984, nine months after the shootings. In May of that year, the trial against Downs began with yet another inconceivable twist. The woman who was on trial for shooting her own children was pregnant again -- and it was no accident. In another one of her strange media appearances Downs spoke about the pregnancy. "I got pregnant because I miss Christie and I miss Danny and I miss Cheryl so much," she said. "I'm never going to see Cheryl on Earth again and I just, you can't replace children, but you can replace the effect they give you. And they give me love, they give me satisfaction, they give me stability, they give me a reason to live and a reason to be happy, and that's gone, they took it from me, but children are so easy to conceive." Jaeger says Downs told her she had picked someone on her postal route to seduce prior to her arrest. Jaeger remembers worrying that Downs' pregnancy could affect the way jurors viewed her. “She knew that, if she got pregnant, that people would look at her and say, ‘How could a woman who loves children this much and got pregnant have killed her children? Look at her,’" Jaeger said. Prosecutors laid out the evidence against Downs, all leading up to their star witness. After months of physical and mental therapy, Christie Downs was finally able to take the stand and tell what happened to her that horrible night. District Attorney Fred Hugi asked Christie if she remembered who shot her. She replied simply: "My mom." 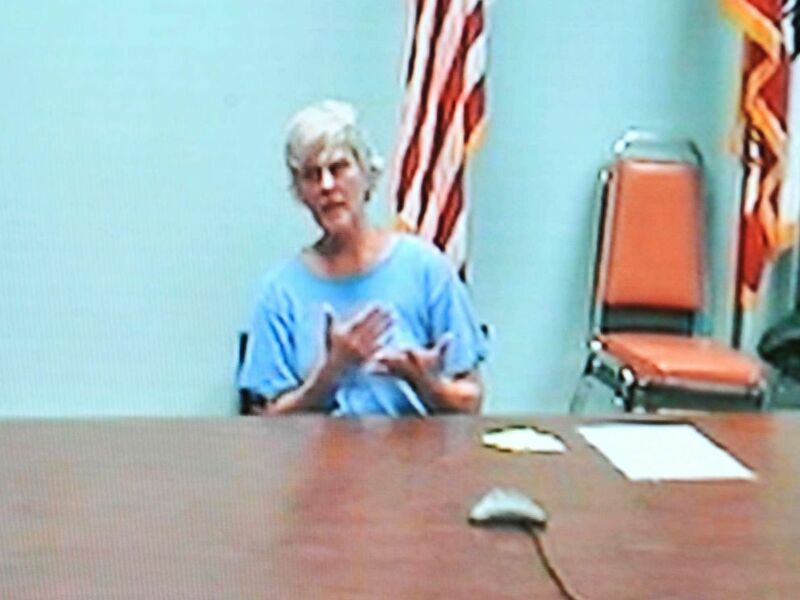 Convicted child killer Diane Downs is seen on a video as the Oregon parole board unanimously rules that she remains dangerous and must stay in prison during a hearing at Chemeketa Community College in Salem, Ore., Dec. 10, 2010. Downs was found guilty in June, and sentenced to life in prison plus 50 years. Between the verdict and sentencing, the court recessed so that Downs could give birth to a girl she named Amy Elizabeth. The baby was taken by the state and delivered to adoptive parents. The girl was later renamed Becky Babcock. In 1987, just three years into her sentence, Downs escaped from the correctional facility in Oregon where she was being held. Within two weeks police had tracked her down to the home of another inmate's husband just blocks from the prison. After being recaptured, she was transferred to a more secure facility. Diane Downs remains in prison in California. She was denied parole in 2008 and again in 2010. She will be eligible for parole in 2020 and continues to proclaim her innocence.